Gas, Bloating and Belching, oh my! A little gas is normal but rearranging your schedule around your “problem” and avoiding crowded elevators is another matter. Experiencing these issues after eating is a sign . . . and this article will help you look for the root cause. You don’t have a purple pill deficiency or a shortage of Tums. Get to the bottom of the issue so you can stop covering up the warning light with a band aid. You have already thought about all the foods that may be the culprit like beans, cabbage, onions, broccoli, and dried fruit, yet still the problem persists. Here are a few simple things to consider that might help. Focusing on fresh vegetables, fruit, animal protein, fish, seeds, and nuts. Include healthy fat (organic butter, raw coconut oil, extra virgin olive oil). Reduce or eliminate sugar, processed food and processed carbs (like bagels, bread, crackers, pasta, baked goods), carbonated drinks, chewing gum and sugar alcohols (xylitol, mannitol, sorbitol, erythritol). and take a probiotic supplement, Life 9. Probiotics are the good bacteria that live in us. There is a balance between helpful and harmful bacteria and an imbalance is called dysbiosis. This is such an important topic that I will provide more information below. Add fermented foods like raw sauerkraut and cultured dairy. 3. Chew your food properly and don’t drink beverages with meals! When we hurry through a meal we tend to take a few bites and swallow before we have really chewed the food well. Remember that your stomach does not have teeth and simply chewing your food until it is unidentifiable could help reduce gas. Drinking liquids with meals can dilute stomach acid. Sip a small amount of water if necessary, but keep it to 4 ounces or less. 4. Prior to meals drink 1 Tbs Bragg’s Raw Apple Cider Vinegar mixed in a glass of water. Not only will this help your digestion but it has a few fringe benefits like helping with weight loss, lowering LDL cholesterol, feeding your good bacteria and reducing cravings. 5. Rule out food intolerances. Get Better Wellness provides a practical and simple method to identify foods that might be contributing to chronic health problems including excessive gas and other digestive issues. One experiment you can try on your own is to completely eliminate processed food, dairy and grains for three weeks. Gluten is a type of protein found in many grains, including wheat, barley and rye. Since gluten and dairy hide in many processed foods under names you might not recognize, it is a good idea to avoid processed food. 6. Try supplementing with digestive enzymes at meals. A product like EssentialZymes-4 is a great way to add enzymes to each meal to aid digestion. 7. Try eliminating beans, alcohol, coffee and fruit for a period of time. 8. Avoid soy and processed foods containing soy. Soy didn’t get the name “the king of musical fruit” for no reason! The exception to this suggestion is fermented soy like tamari, miso, tempeh and natto. Low stomach acid encourages bad bacteria to grow. God gave us stomach acid for a purpose – to digest our food, especially meat. We obtain minerals from our protein foods, if you can break them down and absorb them. 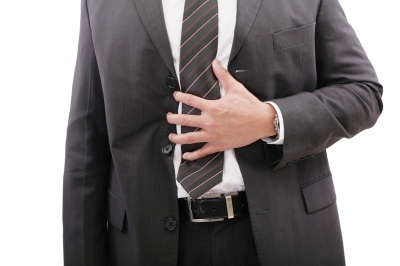 Taking Tums or other medication to lower stomach acid can lead to chronic digestive problems. 50% of people over age 60 have low stomach acid and may need to supplement with Betaine HCl. 10. You may need to supplement with Betaine HCl. As we age our stomach acid goes down. 110 million prescriptions are written each year for acid blocking drugs. This is not getting at the root cause which is often too LITTLE stomach acid getting in the wrong place (esophagus). If you have an autoimmune condition, like Hashimotos, your stomach acid is often too low. The pancreas may not be stimulated to release digestive enzymes and bile which are supposed to help digest food. Gut dysbiosis can lead to leaky gut, food intolerances, autoimmune conditions, IBS, IBD, asthma, celiac, reflux, heartburn, burping, bloating…. hey isn’t that where we started this conversation? Unique approach to protecting esophageal tissue against harsh stomach acids*Why are probiotics so important? These 3 ingredients are designed to support the integrity and healthy function of the gastrointestinal lining . Antibiotics kill bacteria, both good and bad bacteria. Taking even one round of antibiotics can disturb the balance allowing harmful bacteria and yeast to flourish in the digestive system. Yeast overgrowth can occur anywhere in the body leading to fungal infections including thrush, athlete’s foot, diaper rash, jock itch, vaginitis, nail infections and ringworm. Poor diet – Eating the typical American diet fosters the growth of bad bacteria in the gut. Eating a whole food diet is essential to re-establishing a healthy bacterial population. Limit or avoid processed foods, most fast food, soft drinks and sugar. Prescribed and over-the-counter medications including steroids, birth control pills, antacids, chemotherapy, aspirin, Tylenol and other NSAIDs disrupt the good bacteria. wean off your meds using Esophageal Guardian. Gas and bloating do not have to run your life.